Lazio vs Sampdoria predictions ahead of this Serie A clash on Saturday. The hosts are aiming to bounce back from a torrid run of form. Read on for our match preview and free betting tips. Lazio, in incredibly Italian tradition, have spent the last week at their training ground. The club have entered into a ritiro, which means that the players have been spending night and day at their training ground in an attempt to focus minds and fix their form. That’s despite the club sitting a point shy of fourth, with Champions League football their only aim this season. Winning the race for fourth is far from certain after their recent poor form, but will their dedicated week help them to three points this weekend? The hosts are locked in a fight with AC Milan for the final Champions League spot. The top three – Juventus, Napoli and Inter Milan – are racing clear from the rest. Now there’s just Lazio and Milan fighting for that last place in the top four, while Roma are well off the pace. It seems like the perfect chance for two sides who have had their failures in recent years. Of course, the Aquile were agonisingly close to claiming a top-four spot last term, until Inter sneaked ahead in the final 45 minutes of the season. Similar heartache could be on the way thanks to Milan unless Lazio can shake this form. 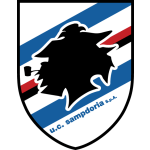 Sampdoria are another side pushing for Europe, but inconsistent form has left them in 10th. That is a fall from last term, but only two points separate them from Torino. The visitors have managed to improve their form of late, grabbing a draw in the derby with Genoa. That was followed up with two wins, the last of which came in Tuesday’s success against SPAL in the Coppa Italia. Will that win see Samp kick on in this visit to the capital? Samp have to fancy their chances here, with Lazio winless in four matches. The home side slipped out of the top four after a draw with bottom side Chievo at the weekend, leaving them vulnerable ahead of this encounter. While the hosts have a great record at home to Samp, a run of one win in five league games doesn’t suggest that they’ll grab a victory here. The away side have managed to score six times in their last two matches. They have had little trouble in front of goal this season, scoring in 71% of their league games. Meanwhile, Lazio have failed to keep a clean sheet in five Serie A matches, so we see them struggling here. Defensive errors have really cost them of late, while Samp pack a punch in front of goal. After seeing both teams score in their last five games, we see it landing again for the visitors. Lazio have scored in each of their last 13 games against Sampdoria on home soil (28 goals in total) – currently their longest run against a Serie A opponent. Lazio have shared three consecutive 1-1 draws – the last time they drew four Serie A games on the bounce came in 2003. Sampdoria won their last match, ending a run of five league games from which they had taken only two points. Over the last five match-days, games involving Sampdoria have seen a total of 22 goals scored (on average 4.4 goals per game). Lazio’s Ciro Immobile has scored a brace in each of his last two league appearances against Sampdoria at the Olimpico. 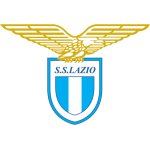 Lazio midfielder Joaquín Correa scored three goals in 31 league appearances for Sampdoria in 2015/16 – he has scored three goals and made one assist for Lazio in 13 games so far this campaign. Sampdoria’s striker Fabio Quagliarella has scored in each of the last four league appearances – he has never scored in five consecutive appearances in a single Serie A season.